WD Scorpio delivers best-in-class performance with low power consumption and cool operation. In addition, you'll get one of the quietest 2.5-inch drive on the market with real-time data protection technology to help keep your data safe. Quiet - In a notebook drive, silence is golden. 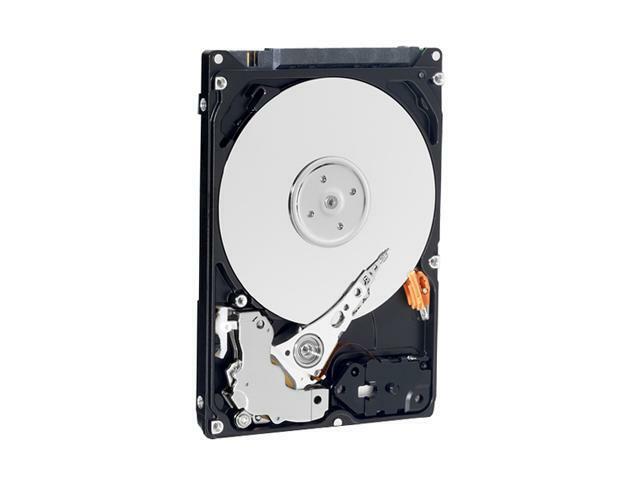 WD's exclusive WhisperDrive combines state-of-the-art seeking algorithms to yield one of the quietest 2.5-inch hard drives on the market. These algorithms also optimize the way a drive seeks for data, which significantly improves power consumption. So now silence (and longer battery life) is golden. Reliable and Rugged - WD's ShockGuard technology protects the drive mechanics and platter surfaces from shocks. WD's SecurePark parks the recording heads off the disk surface during spin up, spin down and when the drive is off. This ensures the recording head never touches the disk surface resulting in improved long term reliability due to less head wear, and improved non- operational shock tolerance. Tested for Compatibility - We perform tests on hundreds of systems and a multitude of platforms in our FIT Lab and Mobile Compatibility Lab to give our customers confidence that our drives will work in their systems. Pros: Well, I haven't had one problem with it the 9 years i've had it. Other Thoughts: Just thought i'd leave a review for a hard drive that's lasted me a decade. Pros: Great drive for a PS3 upgrade. The swap took like 5 minutes once the backup was finished. Other Thoughts: Don't be afraid of upgrading your PS3 hard drive. 1 panel, 5 screws, slide tray out and in, done. Its that simple. Pros: Very Fast Shipping, Cheap and fairly good performance. Cons: The sound while spinning is much larger than the 160G Scorpio Blue that came with my Thinkpad. Even through They had same Firmware and hardware version. And setting AAM to 128 does not reduce noise. It's really annoying because my Laptop was very quiet. I bought 5400 RPM drive just for the sake of low noise! Other Thoughts: What I got is a Lenovo OEM part. It even has a thinkpad P/N on it. I am thinking it's produced for Lenovo, but Lenovo finally decided not to buy, that's why it ended up here. Good thing is when I checked on WD's website the warranty seemed to be solid(Standard 4 years). Really hope it's not a refurbished unit and just dead after a year. Next time I'll spend a few more bucks and buy a retail one! Pros: Cheap, nice little drive compatible with the xbox 360 if you want to upgrade your hard drive capacity. Works with the Thermaltake Silver River II casing that I bought with it. Cons: Not the fastest drive, but didnt buy it for that. Pros: I bought this for my 360. Great price, half the price of the microsoft 120gb... New XBL update is NOT banning homemade HDD's, just the Datel devices, as stated by Microsoft themselves. 6 out of 6 people found this review helpful. Did you?